Carnations represent pride and beauty. 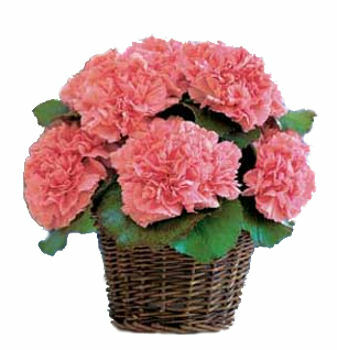 Which makes this charming petite wicker basket of clustered soft pink carnations styled in small nosegays collared by leaves perfect on several levels. A stylish way to express your thoughts to someone special.